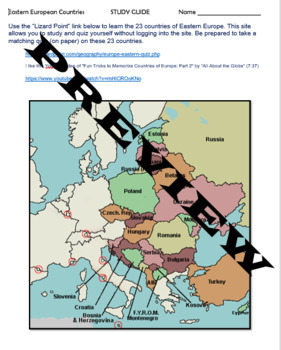 Quiz your students on the 23 countries of Eastern Europe with this study guide and matching quiz. May be printed in color or black and white. Includes link to an interactive geography website and a helpful Youtube link which the student may use to study at home. Editable. Answer key included.